A USB Shortys® cable provides easy access to hard-to-reach USB ports on your laptop or USB hub. Or it can help navigate around other plugs and devices that are blocking USB ports. 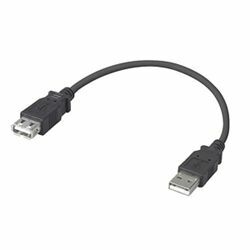 Use this USB Shortys® extension cable to relocate a USB port to a more convenient position.